Credit Card Fraud is the general term used to describe the usage of debit or credit cards to fraudulently acquire legal tender or goods. It is closely tied to identity theft, as the two often go hand-in-hand. Credit card fraud is a very serious crime as it is often associated with organized crime, and happens on such a wide-scale in Canada as to have an impact on the economy. Persons who commit these types of fraud may find themselves being investigated by federal authorities, the RCMP, or CSIS. 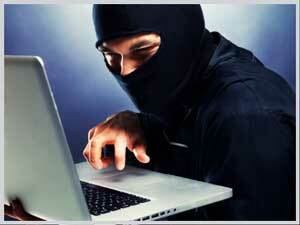 The usage of equipment or software designed to steal credit card information, PIN#, etc. Regardless of the level of involvement in this type of fraud, every individual facing these charges will need to be represented by a highly qualified criminal defence lawyer with extensive experience in dealing with these allegations and to offer support during the investigation. For a conviction of Credit Card Fraud, you could be looking at heavy fines, and upwards of 10 years in prison. This will also gain you a criminal record, limiting your ability to travel, find gainful employment, your freedom, and cause damage to your professional reputation. Have you been accused of or charged with Credit Card Fraud? When financial institutions have been defrauded, Federal agencies get involved. If you have been charged or are under investigation for credit card fraud, be aware that federal prosecutors will be unwilling to negotiate or compromise with you, as this type of fraud represents huge losses to banks, and the economy. Also credit fraud gets widespread media attention focused on exposing individuals involved in financial crimes. If you have been charged with credit card fraud it is vital that you contact one of our criminal defence lawyers right away. Following your initial consultation, we will advise you on how best to move forward with your case, and inform you of what to say and not say to investigators. Our goal is to build an effective defense as well as carry our a plan to defend your rights and achieve a favourable outcome. Our Toronto legal team of Bruce Karten & Stephen Hebscher offer 60+ years of extensive experience defending against fraud charges and will review the evidence surrounding your circumstances to determine how to best proceed with your case – seeking to have your credit card fraud charges dismissed, reduced, or withdrawn completely. See what our other clients are saying about us. We can help you too! Give us a call for your Free Consultation.